Q: How do I enroll a patient in myHEALTHware using a voice message? 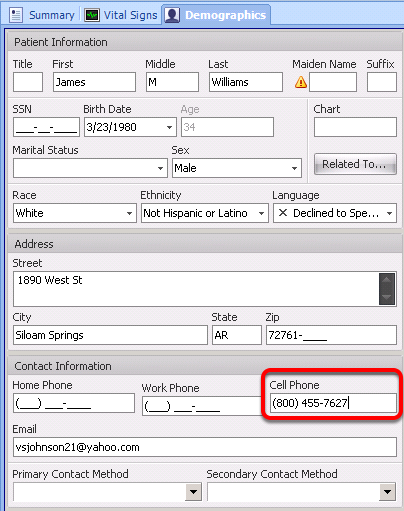 To invite a patient to enroll in myHEALTHware using a voice call, open the chart and enter the patient's voice capable phone number into the corresponding Phone field within Demographics (use Home, Work or Cell Phone field). Click the Phone Receiver icon. Enter the patients phone number. 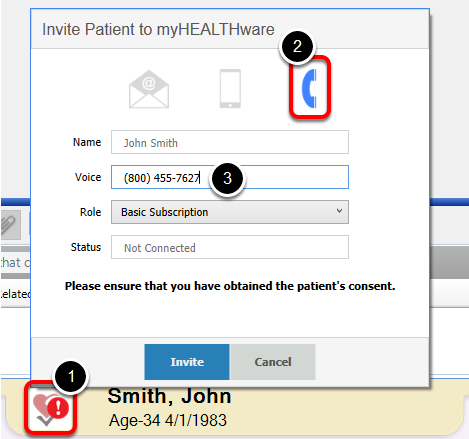 The patient will receive a phone call and a voice message that says: "(Clinic Name) has invited you to connect on myHEALTHware. To accept this invitation, use access code: ######. Again that's ######. Thank you for using myHEALTHware". Once the patient is ready to complete their registration, they should pull up an internet browser on their computer and go to https://myhealthware.com. 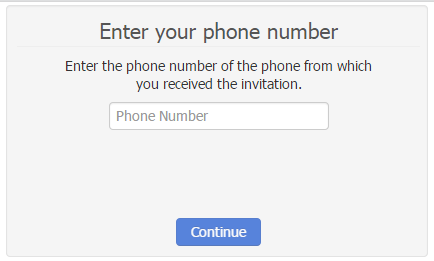 They will then follow the steps detailed in the "Accept Invitation from a Text Message or Voice Call Invitation" step below. 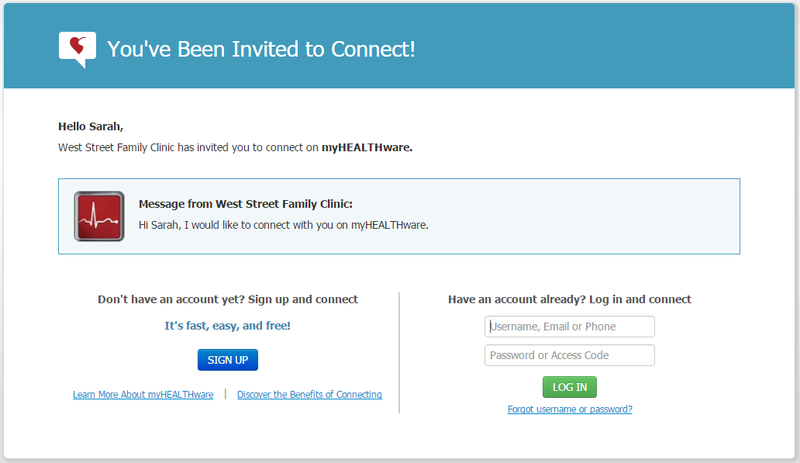 Once the invitation has been sent to the patient, the myHEALTHware status will display as "Invitation Pending Acceptance" (see the screen shot above). 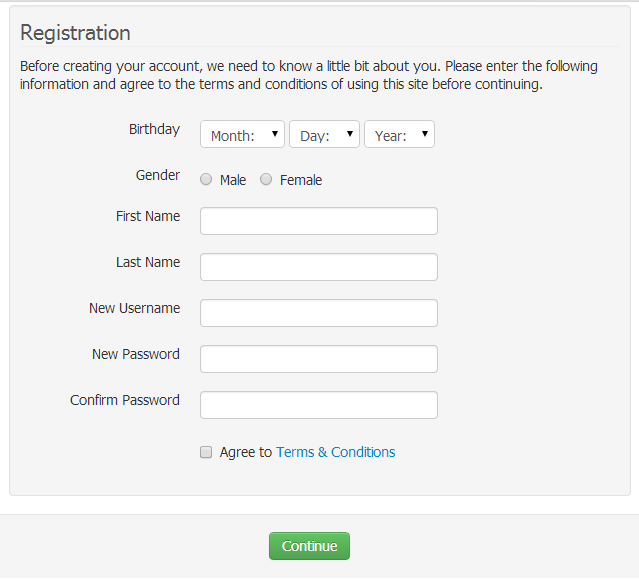 It will remain in this status until the patient has accepted the invitation and completed the myHEALTHware registration process. 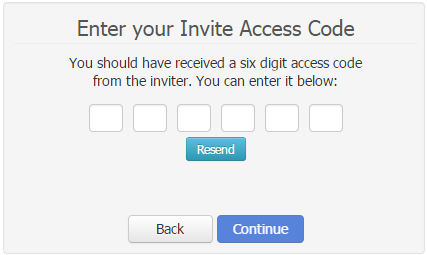 Next, the patient will enter the access code that they received in the invitation voice message, then click Continue. Congratulations! Your patient is now connected to your myHEALTHware organization. Once the patient is connected, the myHEALTHware status will display as "Basic Patient" or "Premium Patient" (see the screen shot above). You can now send communication to this patient using the Start a New Conversation feature. In addition, you can upload a Summary for your patient to review as documents are signed off.